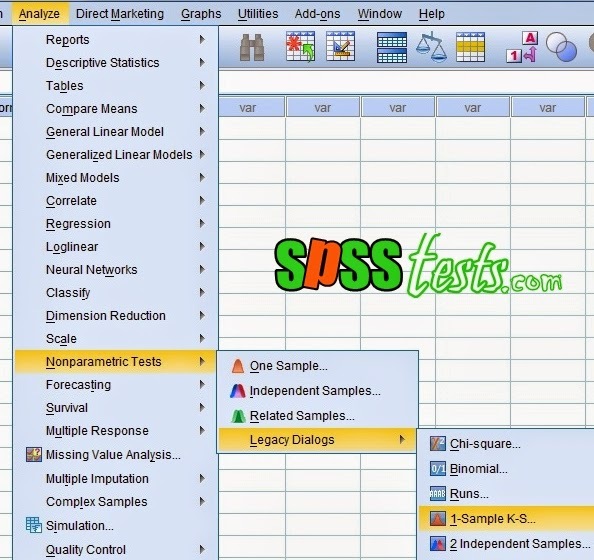 How to test normality with the Kolmogorov-Smirnov Using SPSS | Data normality test is the first step that must be done before the data is processed based on the models of research, especially if the purpose of the research is inferential. 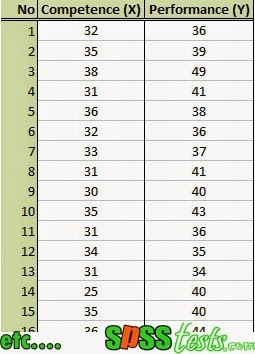 Normality test is intended to determine the distribution of the data in the variable that will be used in research. Data were good and decent used in research is normally distributed data. 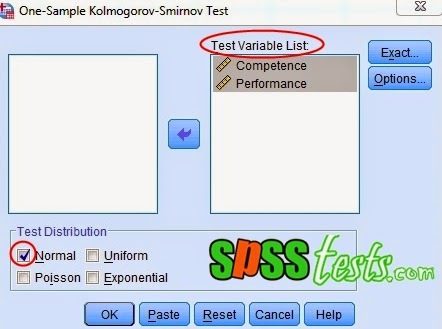 To know the research data is normally distributed or not, can be done with the Kolmogorov-Smirnov normality test Using SPSS. If the value Asymp.Sig. > 0.05, then the data is normally distributed research. If the value Asymp.Sig. <0.05, then the research data is not normally distributed. 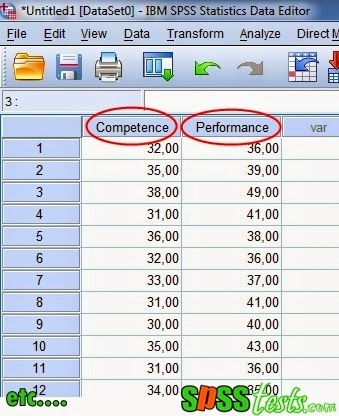 A company manager wants to know whether the competence of employees’ affects performance is the company he heads. For the manager of the collected data Competence and Performance of 40 samples of employees. The research data as shown below. Before the effect of competence on the performance of the employer (Regression Test), then the first step to do is to test whether the research data collected normal distribution or not normal. 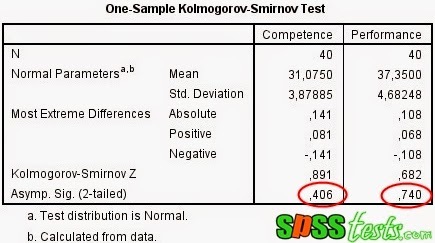 Based on the output of One-Sample Kolmogorov-Smirnov Test, the value of the variable Asymp.Sig Competition An Asymp.Sig value of 0.406 and performance variables of 0.740. In accordance with the basic decision-making in the normality test, the value Asymp.Sig all study variables> 0.05, it can be concluded that the data Competency and Performance Normal distribution. 6 Responses to "How to test normality with the Kolmogorov-Smirnov Using SPSS"